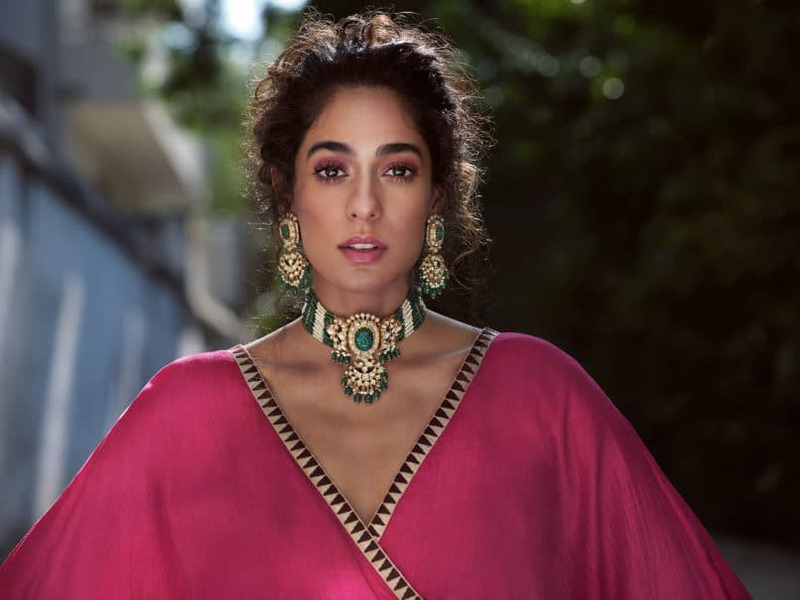 Weddings in India call for a preparation lasting months – brainstorming with designers, fittings, but above all deciding which jewellery pieces will become a part of the bridal trousseau. 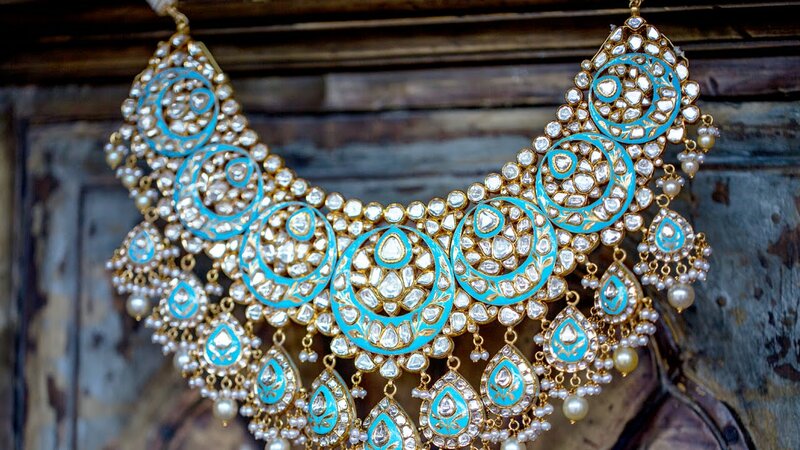 This is also the time when those exquisitely-crafted heirloom polki, meenakari, jadau and kundan jewellery pieces come out. After languishing in lockers, most such pieces need the pampering and shine. It is important to take a few extra steps to make them steal the spotlight again. Kundan or polki jadau jewellery remains safe when kept away from moisture. So keep your pieces in a dry pouch. 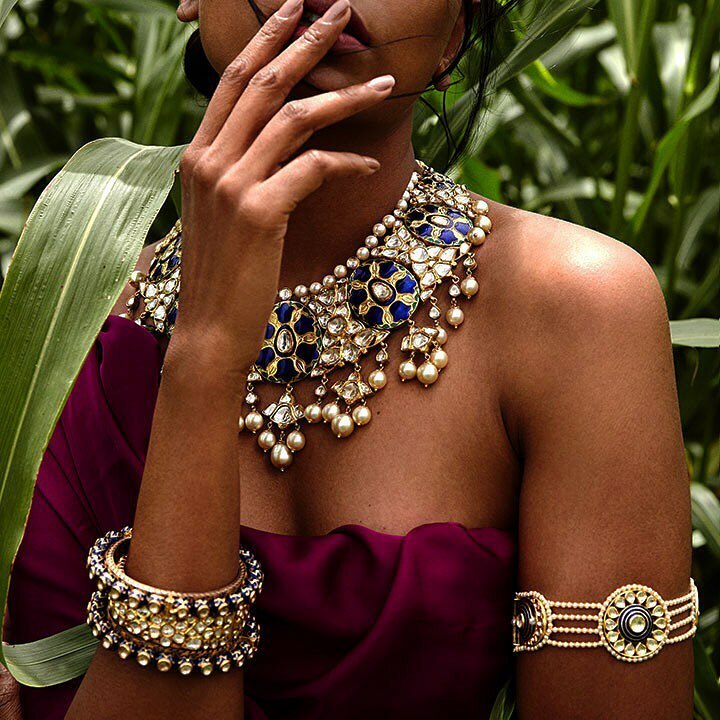 Also, do not spray perfumes or deodorants on yourself while wearing the jewellery – they can corrode the surface, leaving spots on the pieces. Also, the basic thumb rule is to also avoid water, even if it is a few drops. In case you have a big family gathering coming up and you want to wear those piece, stick to cleaning them with a simple piece of linen or even cotton. Despite the right kind of measures moisture can’t be done away with (even when you have kept your jewellery in a box). One of the safest solutions is to wrap your kundan and polki jewellery in butter paper or cotton, and keep them in an airtight container. The butter paper will lock the moisture out, keeping you jewellery dry. Regularly cleaning of your jewellery pieces is a must. Use a soft suede cloth and wipe your pieces with it. Use an eraser to remove any stains from the jewellery. Then wipe it again. If they are soiled from use, apply some talcum powder using a delicate brush lightly on the pieces and wipe them again to maintain the shine. After this, just air out the pieces. You will notice the shine. But if you must use chemicals, be mild. Use a mild soap and warm water for diamonds and other gemstones. If you want to try something more effective, mix together one drop each of baby shampoo and water, and use a soft toothbrush or Q-Tip to clean. Clean with a muslin or a microfiber cloth. While travelling, it is important to take extra care of your jewellery pieces so keep a pouch of desiccants in the same container. The most common and safest desiccant is silica so take it along with you in case you need to clean and dry your jewellery at short notice.